Southern Coalfields real estate includes hunting properties, recreational properties, and homes for sale in historic neighborhoods in and near Welch, Logan, Pineville, and Williamson in southwestern West Virginia. 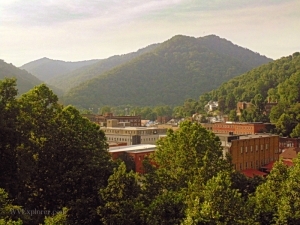 The region is known for its mountainous and evocative Appalachian landscapes. Much of it is densely forested. Coal mining for more than 100 years has been the principal industry in the area, followed closely by timbering. Recreational real estate is increasingly available. Expect no surprises with a Coldwell Banker Mountaineer Real Estate agent, the top trained and most educated agents in the industry. We keep the pulse of market trends, lender requirements and specifications. You’ll be well informed of what to expect, and whether buying or selling, residential or commercial, your transaction will be handled with care. All or part of the following counties are located within the Southern Coalfield Real Estate region in West Virginia: Boone County, Fayette County, Kanawha County, Logan County, Mercer County, McDowell County, Mingo County, Raleigh County, Wayne County, Wyoming County.